Wearable technology is the newest frontier attempting to break out into the mainstream. Sure, headphones have long been commonplace, but the Bluetooth ear-piece was met with scorn, people think Google Glass is a joke, many are skeptical about the Apple iWatch, and cell phone holsters are super dorky. So is there anything out there that’s both practical, fashionable, and comfortable? In the case of activity trackers like Fitbit, a third of people stop using them within six months hinting at the idea that novelty is the selling point of most wearables. But it’s not inconceivable we are on the cusp of a dramatic shift in wearable technological, as more and more people will begin to feel not only less self-conscious, but even comfortable donning their newest gadgets. As our demands increase and our attentions spans decrease, technology innovators need to find new ways to captivate our changing minds. For wearable technology, this means “reducing the time between intention and action,” says Google CEO Larry Page. By increasing uniqueness of each accessory and having specific functions (instead of trying to be all-encompassing, like our phones have become), new tech companies can break into as yet untapped markets. Here are a few of the trends in wearable tech, from international companies to small startups looking to create the next big thing. 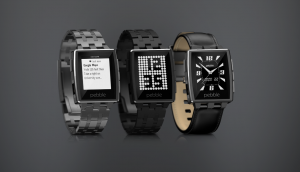 Pebble Watch – The Pebble Watch has set the bar for what a smart watch should be. It’s customizable, relatively affordable, has an extensive battery life, and is compatible with your iPhone or Android, which can remain in your pocket when you get a text or phone call. LG G Watch R – Like the idea of a smart watch but want to retain the classic watch aesthetic? The G Watch R is doing just that, melding new and old. The watch can tell you the weather, traffic, directions, and keep you in the social media loop. This sleek watch is compatible with Android only. MOTA Ring – If watches and bracelets are too intrusive for you, the more inconspicuous MOTA Ring vibrates when you have a notification, whether an email, text, or social media update. Recon Snow 2 – The Snow 2 is a device made specifically for skiers and snowboarders. It is placed inside your goggles and can measure speed and altitude, analyze airtime and track stats, but also keep you connected with other boarders so you don’t get lost. 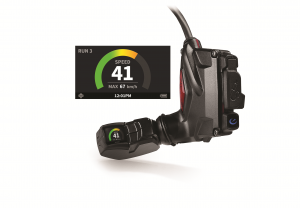 It can also let you view text messages and send social media updates while on the slopes and control music as well. Fineck – While many fitness trackers wrap around your wrist, the Fineck goes around, you guess it, your neck. In addition to measuring steps and activities, it aim is to help measure and improve posture and get rid of neck pain. It’s still looking to get funding through Kickstarter, but may be a worthy investment, particularly given our culture’s growing addiction to staring down at smart phones. 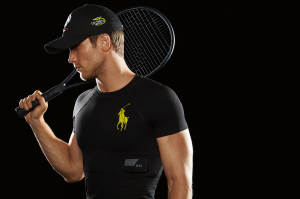 Polo Tech Shirt – This shirt, which debuted earlier this year, is designed to measure respiration, heart rate, and stress level. A small black box attached to the shirt streams this information to your phone or tablet. Hexoskin Biometric Shirt – An even more versatile shirt is the Hexoskin. It measures heart rate, breathing rate and volume, activity, and sleep. You can access the data with the Hexoskin app on your phone, or get the raw data online to use with your own analytics software. Sensoria Fitness Socks – These socks are designed for runners looking to better measure their workout. They count steps, track distance, measure calories burned, and more. The socks use a metal anklet to connect to an app on your phone to compare stats and improve form. Smart Hoodie: This hoodie is designed to text someone at the swipe of the hood or rolling up the sleeves. While this product is still in the design phase, it opens the doors for the possibilities of where wearable tech will go. The future is unwritten as far as wearable tech is concerned. Even Ralph Lauren is looking into high tech purses. The exciting new field of wearables is one to keep in mind as your pursuing your computer science or technology degree. There is no shortage of technology degrees. 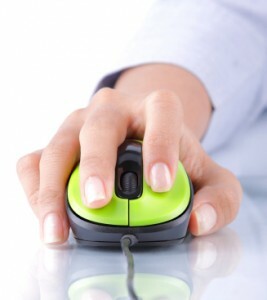 In fact, technology degrees are some of the most popular pursued today. Why? Because technology is always evolving, creating new and exciting career opportunities for skilled professionals. If you’re interested in computers and all the wonders of the digital age, you might want to keep reading. 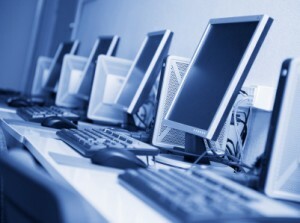 A degree in technology will open doors to employment and increase your earning potential. And we’ve compiled a list of the best degrees in this field to help you get ahead—and stay ahead. Bachelor of Science in Technology Management: Here is a degree that will serve as excellent preparation for the technology industry. 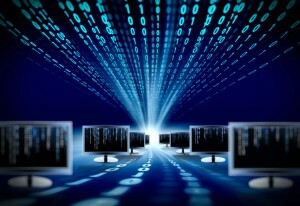 You’ll learn a wide variety of computer technology skills that will catapult you into a challenging career as an IT project manager, database administrator, and network manager, just to name a few. Bachelor of Science in Information Systems: This degree focuses heavily on operational and strategic challenges facing businesses and organizations in today’s global economy. With a degree in this field, graduates can pursue a number of different careers such as a systems analyst, IT consultant, business analyst, information technology manager, and IT project manager. Bachelor of Science in Information Technology: If you want a solid foundation in IT skills as well as advanced training in operating systems, software, website design, and other useful proficiencies, a B.S. 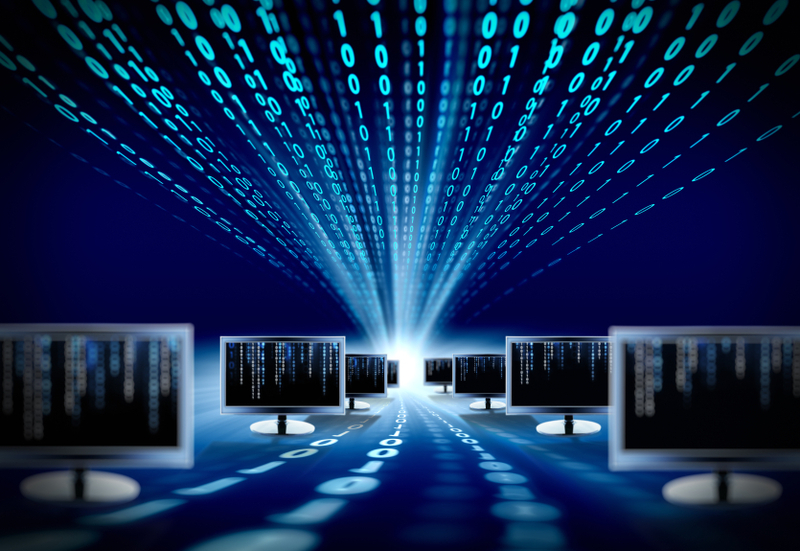 in information technology might be just what you’re looking for. You can pursue careers as a software engineer, desktop support specialist, network administrator, database manager, web developer, and information security analyst. Perhaps you’ve already earned a bachelor’s degree, and you’re ready for graduate-level work. There are plenty of master’s degrees in technology that you can earn. These degrees provide rigorous training in the core areas of technology. Technology will continue to advance, and ultimately, create new jobs and new growth opportunities for the economy. Take advantage of growth in this field by earning your degree. You’ll be prepared to meet both employer expectations and industry demands, and what a better position to be in, as jobs continue to be scarce. Check out our list of accredited degree programs to find a program that suits your interests and professional goals. Before you know it, you’ll be creating new Java applications or high-level strategic solutions for large companies! Depending on your area of interest, you can focus your studies on the necessary courses to prepare you for a specific career. You might be surprised to discover how many fields need qualified IT professionals to fill a number of positions! If you’re still unsure, do as much research as possible before enrolling in a program. The Bureau of Labor Statistics offers a wealth of information about various careers in IT as does O*Net OnLine. Both sites provide specific job descriptions for a number of different opportunities in your field. Technology jobs vary widely from one position to the next. What career you decide to pursue should be based on two factors: your interests and current skill set. If you’re just starting out in your career, most of your experience will come from internships or other work-based learning opportunities. While you’re in school, it’s important to gain experience in your field of interest so your resume stands out among the competition. As a computer science, major can land you in a variety of fields, consider minoring or taking a few elective courses in something related to what you may eventually pursue. For example, if you plan on finding a CS job related to medicine, take some biology courses so you can better communicate with your future coworkers. Before you enroll in a school, speak to an admissions representative or an instructor in the IT department to address any questions or concerns you have about program offerings and course requirements. The more you arm yourself with information, the better able you will be to chart out a wise course to college success. Computer Programmer: The stepping stone towards a more advanced career in IT. A computer programmer writes code to create software programs, and generally interact with software developers and engineers. The median pay is $74,280 a year, and employment in the field is expected to grow 8% between 2012-2022. Software Developer: Similar to a computer programmer, software developers are the creative minds behind computer programs. The median pay is $93,350 a year, and employment in the field is expected to grow 22% between 2012-2022. Computer Systems Analyst: A computer systems analyst is the glue between business and IT, helping organizations better understand their computer systems needs. The median pay is $79,680 per year, and employment in the field is expected to grow 25% between 2012-2022. Information Security Analyst: As cyber attacks continue to increase, the roles and responsibilities of information security analysts continue to increase as well. The median pay is $86,170 per year, and employment in the field is expected to grow 37% between 2012-2022, the most out of any IT field. Computer Information and Research Scientist: Many of these jobs require a Ph.D., as they deal with solving highly complex problems in the fields business, medicine, science, and others. The median pay is $102,190 and employment in the field is expected to grow by 15% between 2012-2022. The U.S. government’s Library of Congress has a science reference services page with books and resources that describe many more career opportunities in science and technology in greater detail. Additionally, one looking to into careers in the IT field should look into certifications as well. There are a variety of certifications for different purposes, of which they’d make a great supplement to your education. Check out Rasmussen College and Tom’s IT Pro for more about certification in entry-level and advanced positions. With a few tips up your sleeve, you can increase productivity. And productivity and technology are interrelated. They are the driving force behind global competition and economic performance. Check out our list of ten tech tips to help your business remain profitable, relevant, and technologically advanced. Tip #1: Generate strong, easy-to-remember passwords. At this point, everyone knows not to use “1234″ as a password. We also know that the strongest passwords are more than eight characters long, include upper- and lowercase letters, numbers, and symbols, and don’t include any obvious information (your name) or even full words. The trick to a memorable but complex password is acronyms: Pick a phrase, such as “I’ve eaten Green Eggs and Ham since December 1969,” and squash it together, maintaining the first letters and all punctuation: “I’eGEaHsD1969″. You can also substitute numbers, symbols, and misspellings: “My son’s birthday is March 9″ becomes “Mi$sun’sbdayiz0309″. And be sure to change your passwords every six months, choosing a completely new acronym every time. Remember: Length is more important than complexity. Longer passwords, even if they’re simpler, are harder to crack. Tip #2: Keep your passwords safe. Once you’ve come up with your fancy, easy-to-remember passwords, keep them safe. For heaven’s sake, don’t write them all on a piece of paper that you keep in your wallet! Use a service like LastPass or Dashlane to manage your many different logins and passwords. Tip #3: Quickly and easily speed up your computer. Unlike a fine wine, your computer does not get better with age. 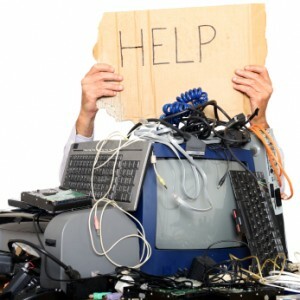 It requires continuous upkeep to slow the inevitable decrease in processing speed, so keep your computer happy with monthly maintenance tasks: delete unnecessary programs; unload unnecessary files, like cookies; defragment the hard drive; perform a registry scan to identify damaged or corrupted files; and keep track of how much RAM space you have, ensuring you don’t run more programs than the system can handle. Tip #4: Reduce mobile data usage. Whenever you’re in Wi-Fi range, switch over from your cellular network. Keep a cap on streaming, which is the biggest data hog on your mobile device. One hour of streaming HD video can use 2GB of data. Disable push content, which is data that is “pushed” to your phone without user interaction, like emails and Facebook notifications. Track usage with a data monitor (both iPhones and Androids have one built in). Tip #5: Take advantage of free Windows admin utilities. There are countless free programs and applications that do the same work as paid versions. The trick is knowing where to look and not getting sucked in to an endless cycle of spam, advertisements, or free trials. A great resource is 4sysops,which lists more than 300 free Windows utilities, from configuration to monitoring, complete with reviews and links to download. The best part? No ads to clog up the website interface. Tip #6: Shop around before purchasing your cell phone and other tech devices. Major wireless carriers charge inflated prices for their cell phones, then knock down the price if you sign up for an iron-clad plan of a year or two or more. Even if you’re an existing customer of a carrier, you can purchase upgraded phones from a third party etailer, such as Amazon or Wirefly, that will work with your phone plan. The same goes for computers, tablets, and other technology products: Before you buy it straight from the brand-name company, peruse the world wide Internet to see if you can’t get a better deal on a site like Newegg, which also offers user reviews. Tip #7: Avoid paying extra for 4G on your laptop or tablet by enabling the hotspot on your smartphone. Clearly, phone companies will charge you for as many things as they can get away with. Avoid the $10 or $20 per month fee to include your laptop or tablet on your data plan by using your smartphone as a hotspot and connecting your other devices via Wi-Fi. If you’re not on a data plan that includes a hotspot feature, use free software like Fox.Fi (available in Google Play for Android) to connect your devices. Tip #8: Avoid extended warranties. Almost all technology products come with an automatic warranty from the manufacturer. But retailers will often attempt to goad you into paying for additional coverage in the form of a store-sponsored “extended warranty.” Say no. Most products don’t break within the three-year warranty period anyway, so it’s wasted money. Tip #9: Be a loyal and daily reader of tech websites and blogs. Your industry changes daily, and it’s your job to keep on top of trends and technologies. Some of the best reading out there is on Lifehacker, CNET, Engadget, Gizmodo, Ars Technica, and PC Magazine. Tip #10: Invest in a good office chair. If you spend your day in front of a computer, it is essential that you invest in a comfortable, properly supportive office chair. To avoid backaches, headaches, and other discomforts, read up on the ergonomics of office chairs (spine-health.com has a good starting article) and spend a Saturday afternoon shopping around to find the best option for your body. Lifehacker has a nice round-up of recent favorites. A WordPress Site, Proudly powered by WordPress.